Earlier this week we announced the release of Evidex Signal Management. 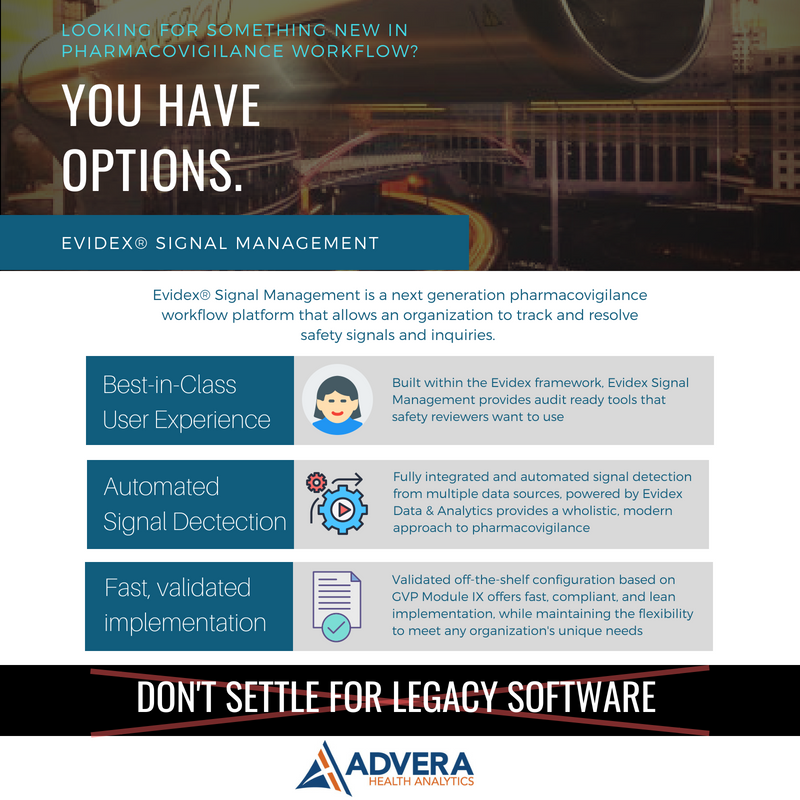 Evidex Signal Management is a next generation pharmacovigilance workflow platform that allows an organization to track and resolve safety signals and inquiries. 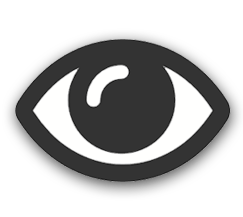 Built within Evidex’s best-in-class user interface, Evidex Signal Management provides audit ready tools that safety reviewers want to use. Recently the FDA published the Q2 2017 version of Potential Signals of Serious Risks / New Safety Information as identified by the FDA Adverse Event Reporting System (FAERS). 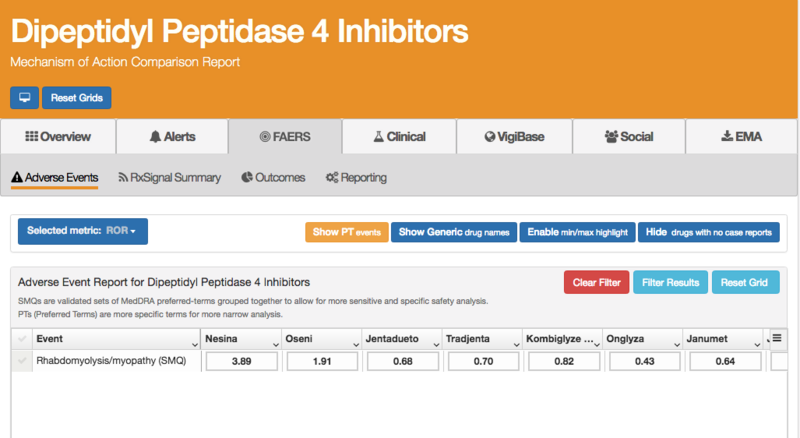 Last week we announced the addition of VigiBase global safety data to the Evidex platform. 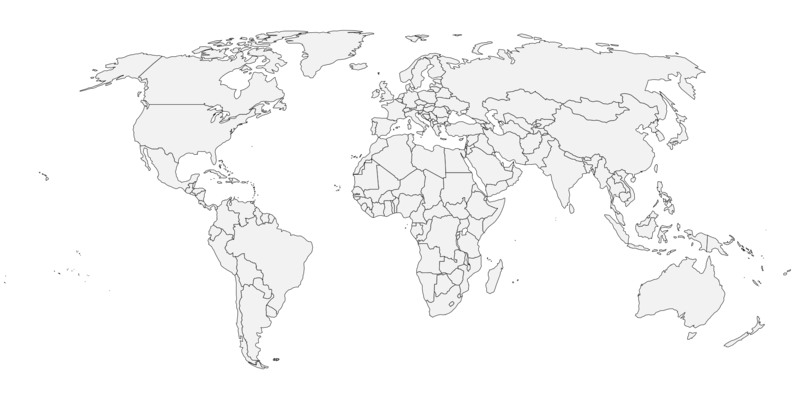 VigiBase is the unique global database of individual safety reports collected from over 110 countries by the World Health Organization. It totals over 15 million adverse event reports since 1968 and is administered by the Uppsala Monitoring Centre in Sweden. This is an exciting development for our company, for our clients, and for the drug safety community at large. What happens when a Safety Signal contradicts Clinical Trial data? Last month, FDA released their quarterly watch list of ongoing drug safety concerns. My colleague Jim wrote a blog post on some of the major talking points around the update, not on the drugs or the risks themselves, but general pharmacovigilance themes. Our post this week focuses on one of the risks that was specifically discussed by FDA on the SGLT-2 class of diabetes drugs. The SGLT-2's had triggered a safety signal for nephrolithiasis (aka kidney stones). Evidex RxSignal analysis had also predicted this safety signal for most of these SGLT-2 drugs, with many of the signals being triggered more than a year prior to this alert. However, unlike the 12 other safety issues in this same alert, the FDA quickly determined that despite the safety signal shown in the postmarketing data, “no action is necessary at this time, based on available information”. In other words, the FDA does not believe that kidney stones should be disclosed as a risk to the labels of these medications. Why did the FDA make this determination so quickly? What information did the FDA use? Earlier this month FDA quietly published a quarterly update to their publicly available “watch list” of ongoing drug safety concerns. 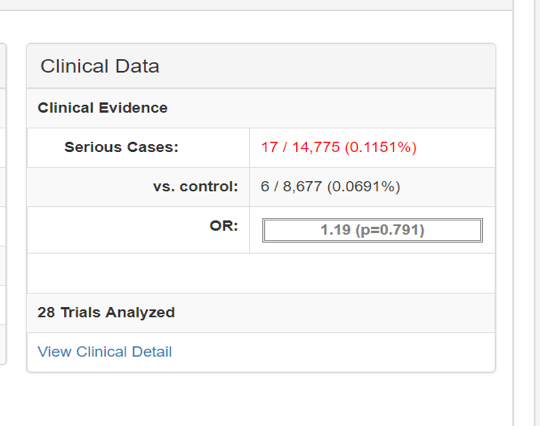 The updates are based on Q1 2017 FDA Adverse Event Reporting System (FAERS) data. You can download a copy of our recent Evidex Alert, covering the new additions, clarifications, and “all clears” so I won’t get into the details in this post. However, it is worth noting that there were fourteen unique drugs, or in some cases entire classes of drugs, that were included in the update. Many of the drugs have been on market for quite a long time and otherwise would be considered to have a well established safety profile. For 8 of the 11 alerts that could be signaled for (3 of the alerts were AEs that were already labeled for), Advera Health’s RxSignal early warning system did its job and picked up on the signal. The remaining alerts either weren't on a RxSignal eligible adverse event, meaning it wasn't a serious event that the FDA typical takes action on, but there was noticable elevated reporting as defined by reporting odds ratios (ROR). We're happy to have a guest writer on the RxView blog this week, Alan Lukazewski, RPh – Director of Clinical Pharmacy at WEA Trust. WEA Trust is a not-for-profit health insurer serving Wisconsin public employers, their staffs and families. In my role as Director of Clinical Pharmacy, I manage pharmacy benefits for WEA Trust, including prior authorization management, clinical program design, and specialty pharmacy management. Within those areas, I focus attention on adverse drug event detection and prevention, especially in older adults. Last year, we partnered with Advera Health on a unique project to determine whether we could use data from theFDA Adverse Event Reporting System (FAERS) to determine total medical costs for a particular class of medicines. 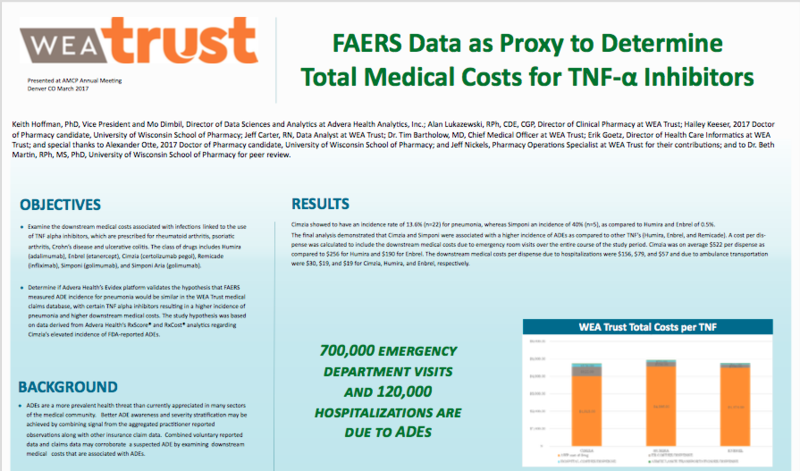 Previously, Advera Health published a study detailing their methodology for calculating medical costs from FAERS data, but this would be the first study to pair FAERS data with specific claims data to determine downstream medical costs. 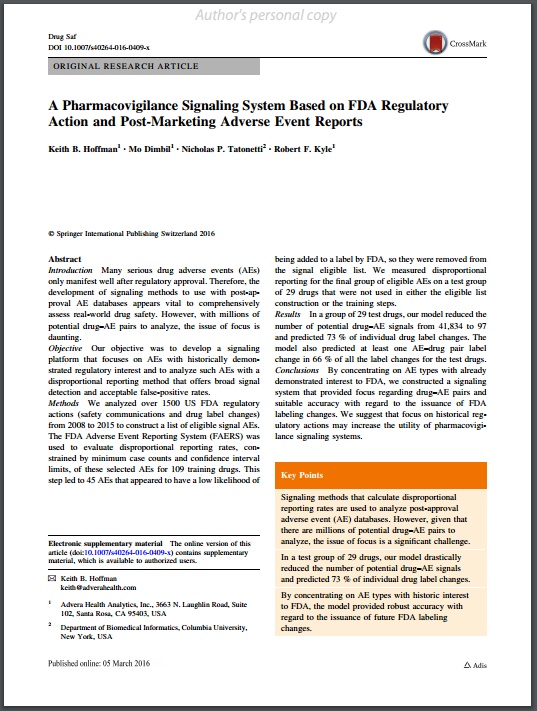 We are pleased to report that our latest major publication, “A Pharmacovigilance Signaling System Based on FDA Regulatory Action and Post-Marketing Adverse Event Reports” was released this week in the esteemed journal “Drug Safety.” It was published as an online-first feature and will also appear in the April copy of the print version of Drug Safety. Creating actionable analytics around the big data set provided through the FDA Adverse Event Reporting System (FAERS) is the backbone of the AdverseEvents Explorer software. Given the infrequency of releases in 2013, you can imagine how excited we were when we heard the news that Q1 2013 data were finally posted for download. While probably not surprising, self-described data geeks do get excited about data. Copyright 2019 | Advera Health Analytics, Inc.